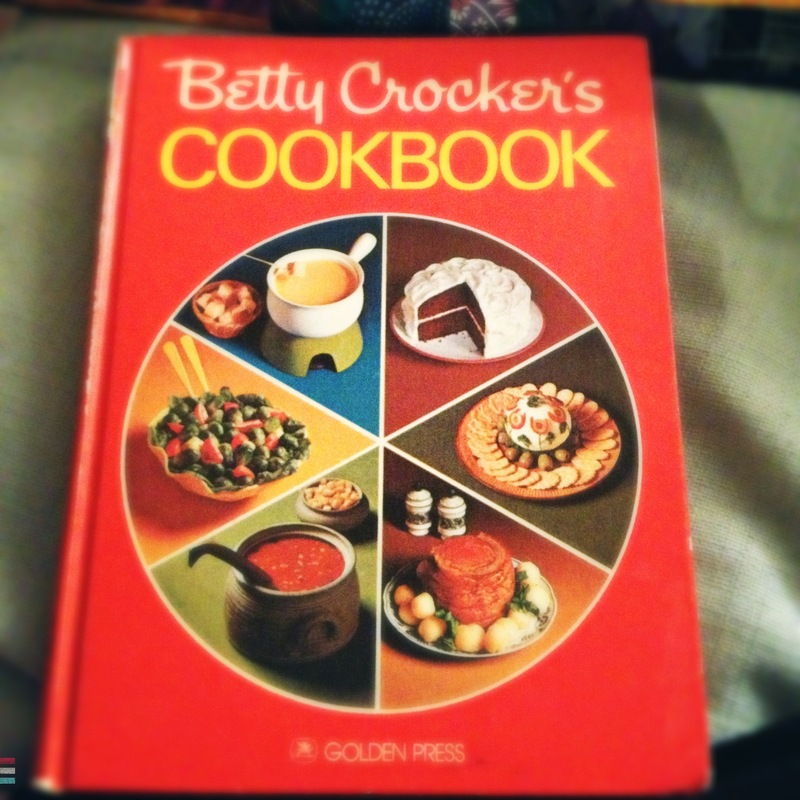 Vintage Betty Crocker’s Cookbook…Thanks Mom!! 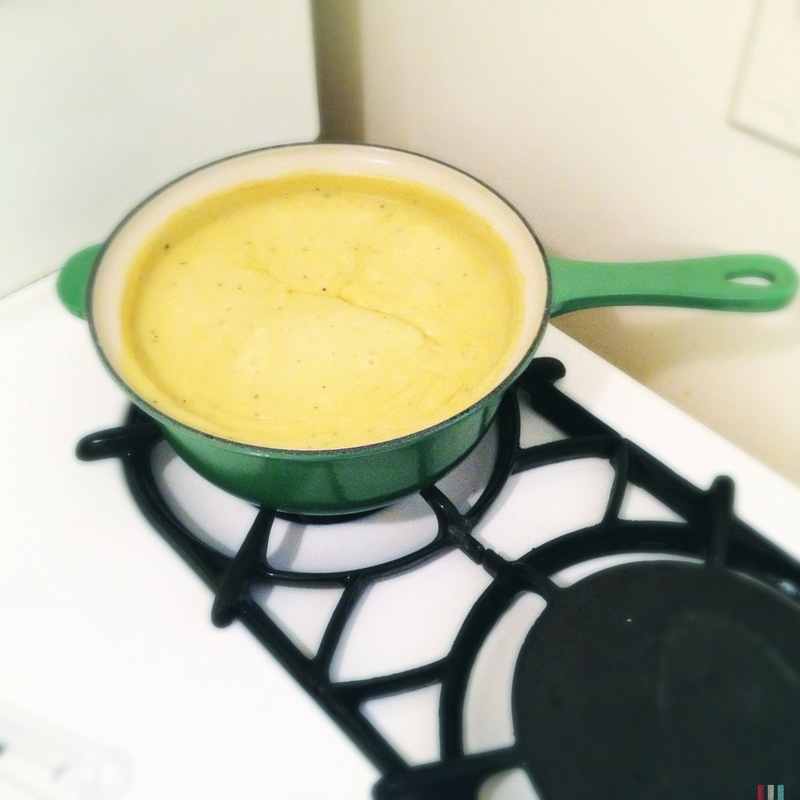 Melt butter, add flour, then add broth and evap. milk. Cook and stir until sauce is thick, then add salt, pepper, turmeric and oregano. 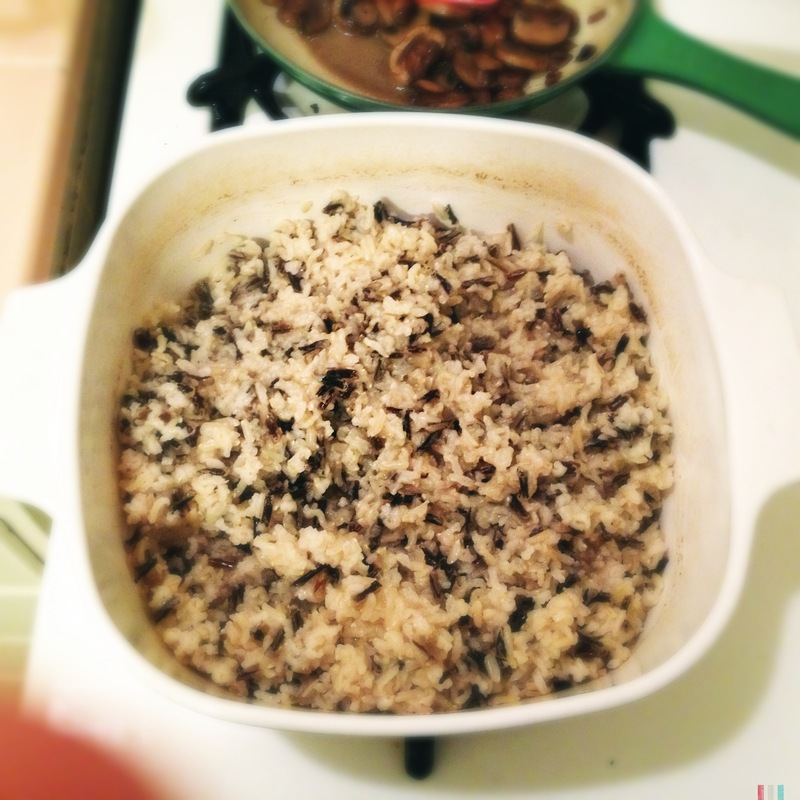 Spread rice in bottom of a large casserole. 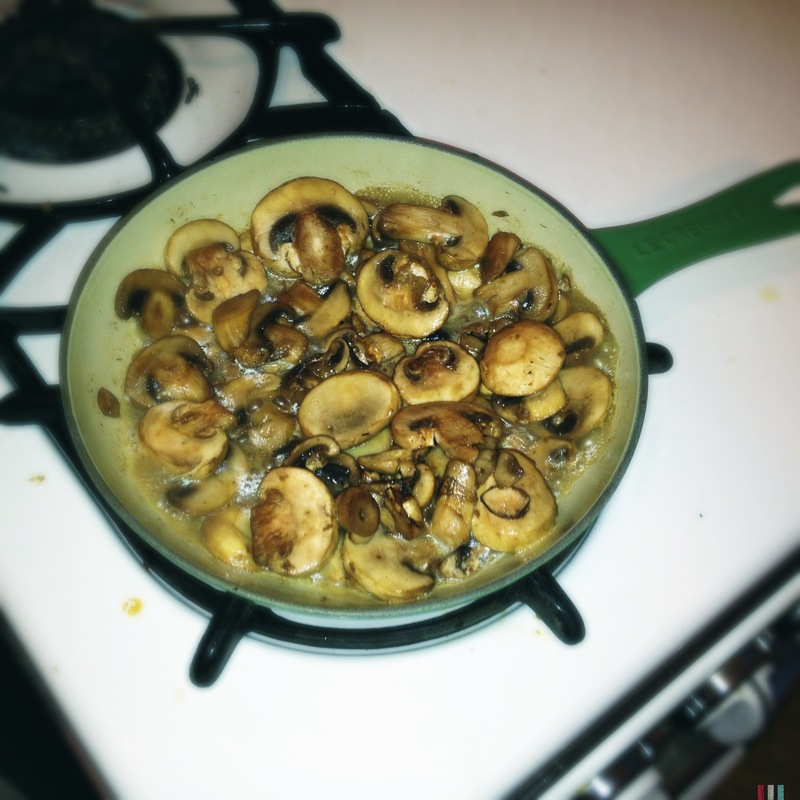 Top with chicken (if you’re a meat eater), chopped green onions, sauce, and mushrooms. 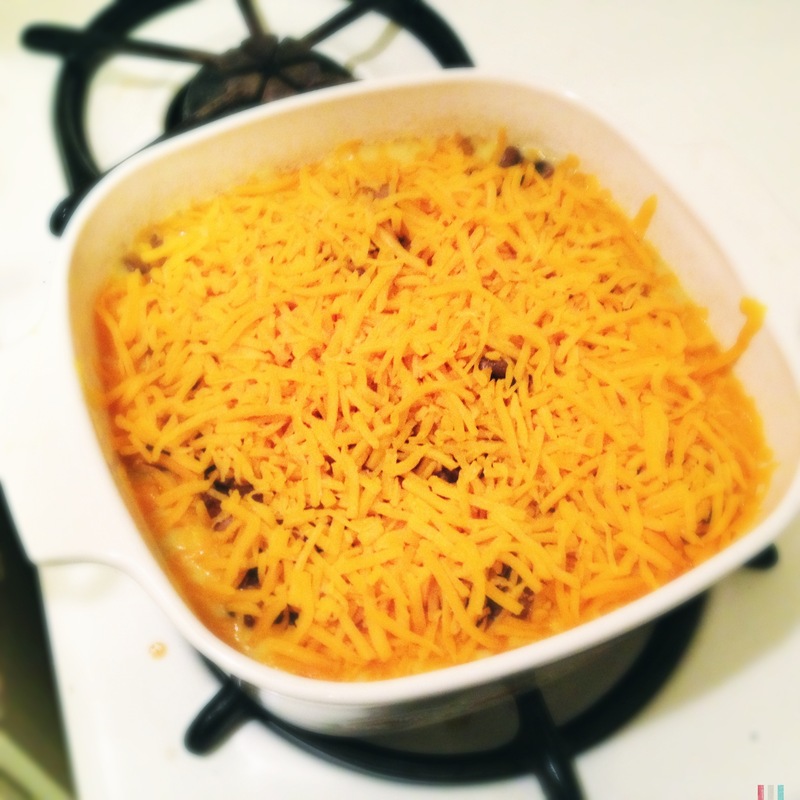 Sprinkle cheddar cheese over top and bake at 350F for 30 minutes. 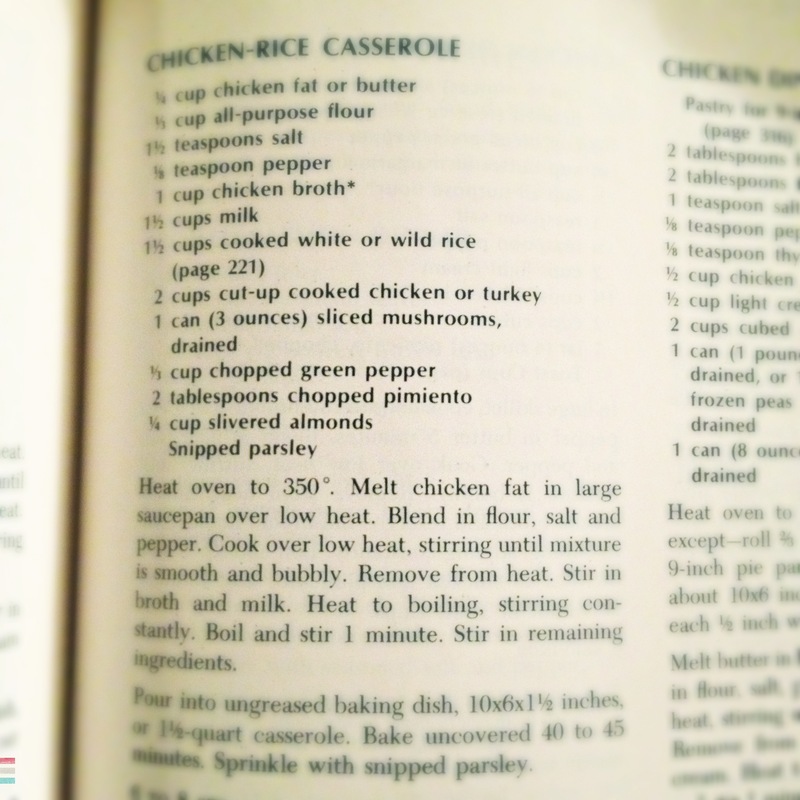 *Can be put into 2 smaller (or more) casseroles and frozen.